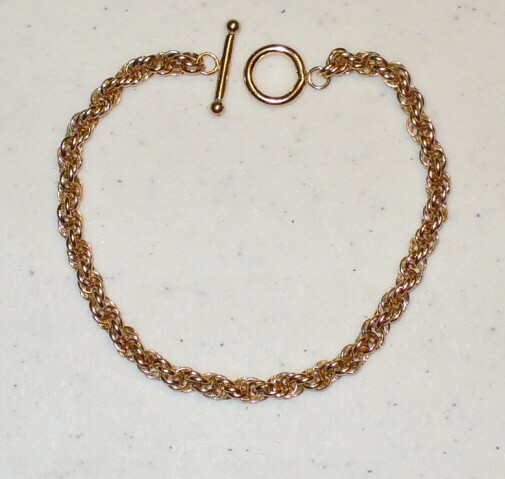 The French Rope Chain Bracelet is unique in that it is made with half-round rings. The inner edge of the ring is flat with the outer edge rounded. This weave will not work with the traditional rings that are rounded on both sides (I have tried it!). This chain makes a great bracelet and can be lengthened to make a matching necklace. This is an intermediate weave. The clasp is not included in the kit.